Every kid wants to fit in. I have soothed many broken hearts and dried many tears in my classroom when kids decide to exclude a classmate over an argument or a perceived difference in behavior or attitude. 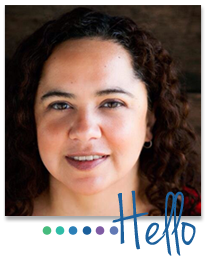 Belonging is a big deal, so kids might try to conform to fit in. 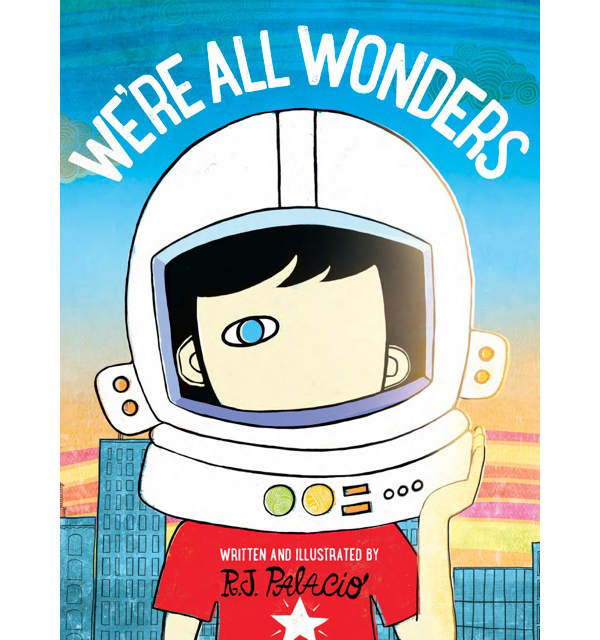 We’re All Wonders, a picture book by R. J. Palacio based on his middle grade novel Wonder, is about a boy who is different in a way that is very difficult to hide. He does ordinary things like ride a bike, eat ice cream, and play ball, but he doesn’t look like other kids. His mother says he is a wonder, but he still has to put up with the fear and cruelty from other people who do not understand. But he finds perspective in his own wonderful way and is able to assert his own worth as well as teach those around him the joy of not being ordinary. 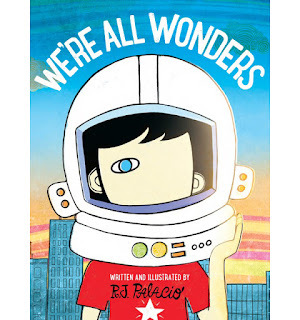 We’re All Wonders is a great book for kids who might be feeling left out or different. It will show them through the story of one brave boy, that they don’t have to be like everybody else. Everyone in the world is different and it is our differences that create and enrich our shared experiences.